After the panels have been glued the rough outline can be trimmed. Trimming the panels facilitates the use of spring clamps for attaching the rail strips as well as making the panel easier to bend into the finished shape. 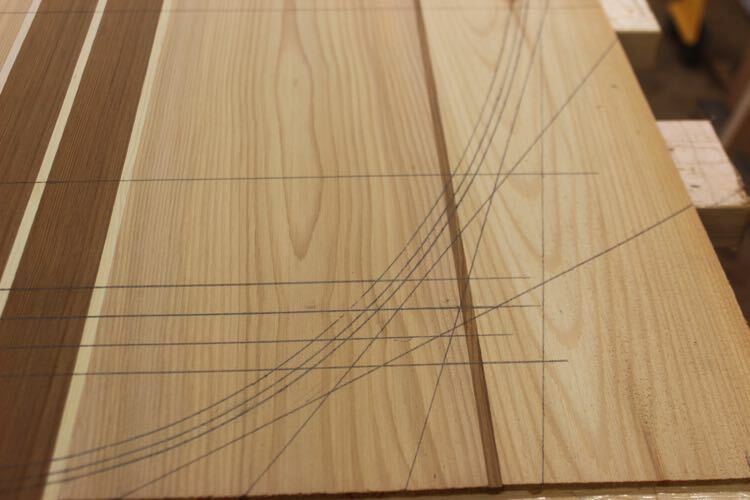 You could trim the panels with a jigsaw, router, handsaw, but by a skill saw is the best choice. A skill saw’s spinning blade has very little chance of causing vibrations that potentially can crack the panel. 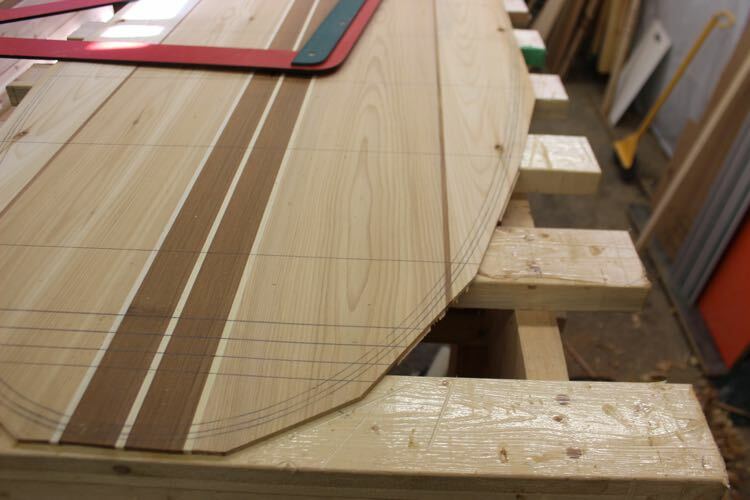 The blade can also be set to barely cut through the panel allowing the panel to be trimmed on the assembly table. The less you have to move the panels the better. 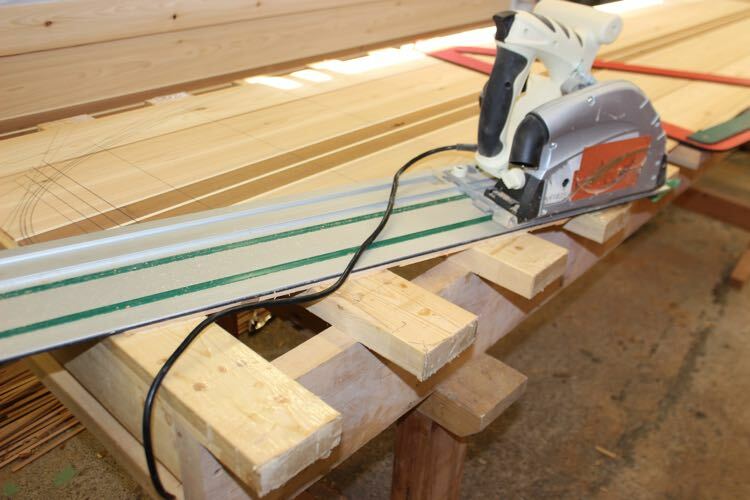 If you do not own a skill saw the other tools mentioned would work but make sure you cut between two rungs on your assembly table to provide as much support as possible to the thin panels. The skill saws only draw back is it only makes straight cuts. This is not a problem as we are only removing the bulk of material so that our spring clamps with have enough reach. Simply make multiple cuts to get around this limitation. You do not need a Track Saw to do this step. They are really nice luxury but a regular skill saw is plenty accurate for this task. There is no need to get the outline exact at this point as it is easily cleaned up later.